Want to develop your own Alexa skills? Learn how using the lazysusan framework, and deploy your own example skill. Read this practical blog post to learn what you need to know. Over the past year, Google Homes and Amazon Echos have turned millions of houses into smart homes. If it took you a while to hop on the bandwagon — or if you still haven't made the jump — you're not alone. A lot of people have been asking the same question: doesn't my smartphone make me smart enough? With all due respect to your phone (and your IQ): maybe not. As I mentioned in my last post, I was decidedly in the I-don't-need-another-device camp. But then, I worked with Thrive Global to build an Alexa skill that walks users through a relaxing sleep meditation. I discovered the usefulness of smart home devices — and found a new friend in Alexa, who can answer my questions from across the room (and is always up for a good laugh). deploy one of the example skills. 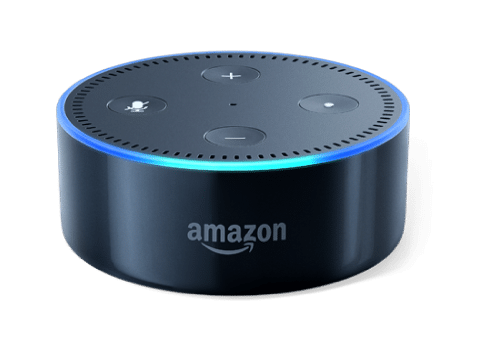 By the end of the post, you should understood how to use lazysusan to develop a new Alexa skill. Ready, set, go. I know what you're thinking: "Great, another framework. Do we seriously need another framework?" Yes, we do, but good news: lazysusan is very different from other frameworks you've worked with in the past. Have you ever used Ruby on Rails? It's a huge framework that does a lot of behind-the-scenes work, which you (probably) won't (fully) understand. That means it's super easy to spec something out, but once you run into a problem, you're lost in a sea of dependencies. Well, lazysusan is different. It manages application state and state transitions — that's it. Now that we have a brief overview of how lazysusan works, we're ready to build our own Alexa skill. We can't start writing code just yet. There are a few tools you need to install and services to set up before moving forward. Hopefully, you're not not surprised to learn that you need an Alexa device to build and test Alexa skills. Reverb provides a simulator available for OSx, iOS, and Android, but nothing substitutes testing on the actual physical hardware. You don't need the full size Echo — you can get by with the Echo Dot — but the speaker and microphone on the Echo are much better, IMHO. In order for Alexa devices to find your skill, your skill logic needs to be deployed somewhere. For this tutorial, we use the serverless framework to deploy the lazysusan application as an AWS Lambda function using CloudFormation. So, in order to deploy the Alexa skill, you need an AWS account and access keys for an admin user on that account. Guiding you through setting up an AWS account isn't part of this tutorial, but it's as simple as filling out a few forms, and it's thoroughly documented by AWS. I know, I know. You just set up an AWS account, and you're wondering how that's different from an Amazon Developer Portal Account. The Amazon Developer Portal is where you tell Alexa devices how thttps://aws.amazon.com/o interact with your skill logic. It's analogous to creating a store listing in iTunes connect for an iOS app or creating a Play Store listing for Android apps. When setting up your Amazon Developer Portal account, be sure to use the same email address that you used to set up your Alexa devices. Don't worry, it's 100% free! Throughout this tutorial, we'll work inside of a Docker container because it makes handling the remaining dependencies much easier. Please install the version that is compatible with your operating system. For this tutorial, we use a Makefile so that we don't have to remember the long commands we need to launch our container, mount a volume, etc. If you're on any type of *nix device, you'll have make available. Before deploying the example, go ahead and do some setup in the Amazon Developer Portal so that once you deploy your logic to Lambda, you'll be ready to test your skill on a physical device. When filling out the options in the Amazon Developer Portal, we'll tell you only the options that you need to fill in or change so that you can accept the defaults for all other options. When you log into the Amazon Developer Portal, you'll see a navigation menu across the top of the screen. Click on "Alexa." The next page has two options. You want to click on the "Get Started" button for the "Alexa Skills Kit." The page that loads will display a table of all the skills that you have created. (If you haven't created any skills, there won't be anything there.) From here, click on the "Add New Skill" button in the upper right area of the page. On the page that loads, you need to provide a "Skill Name" and "Skill Invocation ID." The skill name is the name of the skill that would be displayed on Amazon's website, along with the Alexa companion app on users' iOS and Android devices. The skill invocation ID is the phrase a user will say when they want to use your skill. For this tutorial, you want to set both fields to "Dad Jokes" so that when a user wants to use the skill, they'll say, "Alexa, open Dad Jokes." The interaction model is where the Alexa platform is trained to respond to user input. We define intents, slots, and sample utterances on this page. Intents are the tokens your skill logic will be given for a user's input. When combined with the sample utterances, you don't need to maintain a natural language processing system for figuring out your users' intents during your skill's lifecycle. The Alexa platform has some predefined intents that already have a few sample utterances defined for them. Note: It is recommended that when you submit your Alexa skill for certification, you override the sample utterances for the built in intents and provide your own. For this skill, we'll only include the basic yes and no intents. Slots allow you to receive a variable value with a user's intent. This is fairly limited because you have to supply an array of all values that are valid for the slot — so you can't accept a user's name as a slot value, but you do have the ability to ask which joke they want to hear. For this initial version of the skill, we won't define any slots, but it's important to know what they are. Slot usage will be covered in greater detail in a follow-up blog post. We use sample utterances to train the Alexa platform so that phrases will be tokenized to one of the intents that you have specified. For this sample skill, we don't really need them, but here are some examples that you may use to make the conversation flow a little more natural. Since we aren't going to get into the details of writing a skill from scratch in this blog post, here are some terminal commands for downloading an example from the lazysusan GitHub Repo. $ cp -R ~/alexa-dev/lazysusan/examples/dad\_joke\_2 . In your home folder, you should have an alexa-dev folder. Inside of the alexa-dev folder, you should see folders for lazysusan and dad\_joke\_2. Now you will change into the dad\_joke\_2 directory, install dependencies, and setup your environment for deployment. One of the outputs of make deploy will be an Amazon Resource Number (ARN). Be sure to copy this ID, or navigate to Lambda in AWS and copy the ARN from there. Note: At the time of this writing, Lambda functions that service Alexa Skills must be deployed to the us-east-1 region. Back in the Amazon Developer Portal, you now need to update the Configuration tab for the Alexa skill. Be sure to select that you are providing an ARN number as the execution endpoint of your skill, then select North America, and finally, paste the ARN number in the text box. Once you populate this information and save the changes, you should be able to test out the skill on the Test tab in the Amazon Developer Portal or on an Alexa enabled device. Take a deep breath and pat yourself on the back: you just deployed your first lazysusan Alexa skill. These are great questions, and documhttps://github.com/verypossible/lazysusan.gitentation has been written for all of these subjects and more in the docs folder of the lazysusan GitHub repo. They've also been published to Read the Docs. In the doc, you can learn more about execution flow, defining states, static and dynamic responses, environment variables — the list goes on. We're also working on another blog post that teaches you how to build an Alexa skill with dynamic responses from scratch, so stay tuned. *Because he was a little horse.